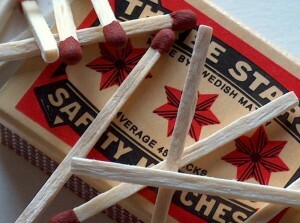 There are several “do-it-yourself” ways on how to waterproof matches. Here are some household items you can use to easily waterproof your matches before hitting the outdoors. 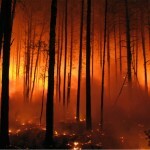 It is important to have a reliable fire starter when camping otherwise you could be left out in the cold. Heat a double boiler on your stove or over a campfire. Place the wax into the boiler and allow it to melt. 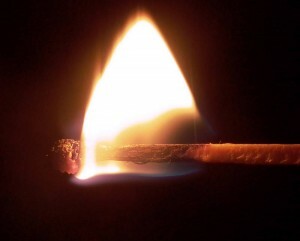 Drop your matches in the melted wax and stir (make sure the wax has completely coated all the matches). Use pliers/tongs to remove the matches one-by-one from the wax (work quickly but safely to remove them before the wax hardens). Without letting them overlap, set the matches aside to cool and dry. Light a candle and allow it to burn for awhile until it has a goodly amount of liquid wax pooled around the wick (about half an inch). Roll the head and about a quarter inch of the match in the wax. Allow the wax to harden slightly before placing the match on a table or counter (keep the head suspended over the edge). Let the wax cool (but don’t let it completely harden) and then pinch the end of the wax coating to form a tight seal. (The wax should cover the head and some of the wood beneath. Pinch the wax in on the stick to ensure it is sealed). (Warning: Only use the Candle Method if you have wood stemmed matches. Do not attempt with paper cardboard matches). Pour 2 to 3 tablespoons of turpentine into a small glass (do not use a plastic cup as it could melt from chemicals in the turpentine). Place the matches head down into the turpentine and allow them to soak for about 5 minutes. Remove the matches and let them dry out on some paper towels or newspaper for around 20 minutes to allow the excess turpentine to evaporate. In clear nail polish dip the head of your match far enough to cover at least an eighth of an inch of the stick below the head. 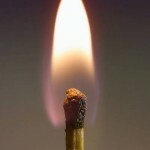 Hold the match for a few seconds to allow the polish to dry and then place the match on a table or counter so that the head is suspended off the edge of the surface. Place a sheet of newsprint below to catch anything that may drip. 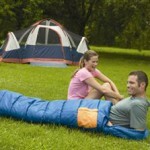 So, even if your camping trip isn’t guaranteed to be fool-proof, at least you’ll know that your matches are waterproof. To make sure that your waterproofing precautions weren’t done for nothing, store your matches in a 35mm film container (or any waterproof vial or case); for extra ease glue a small piece of sandpaper in the container’s cap to help start the matches. Waterproof matches: for those “come heck or high-water” occasions. Kirsten has written 14 articles on CampTrip. Kirsten loves history, writing, reading and editing. She is one smart little cookie when it comes to academics! She also happens to be quite the artist! Kirsten manages to make everything funny and can always be found with a book in her hand. 4 responses to "How to Waterproof Matches"
Thank you for this walkthrough! empty prescription pill bottles are perfect for storing matches since they are waterproof.